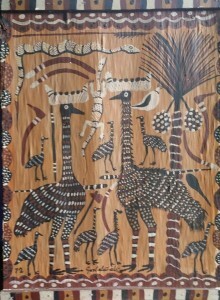 Through the generosity of artists, businesses and members of the community, the Board of Directors in conjunction with Canopy Art Centre, Cairns will be holding a FUND RAISING AUCTION of quality artworks by established and emerging artists as well as a selection of quality local experiences. The event will be a silent Auction with the artworks and experiences with the works with the highest silent bids being live auctioned at the Culminating event and final AUCTION Friday 27th May, 6 – 8.30pm at Canopy Art Centre, Cairns. 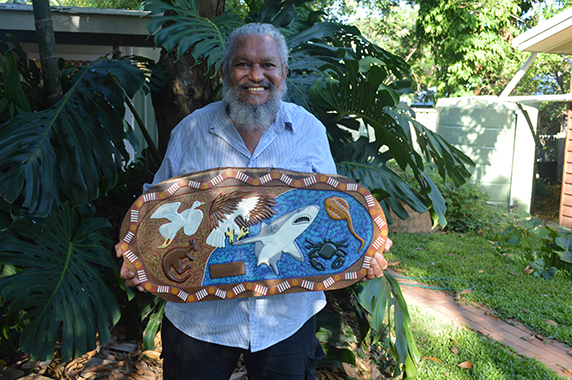 Run as a joint venue with My Pathway, Cairns, Thancoupie’s Bursary Fund awarded a small grant to Indigenous Woods Sculptor, Kelvin Williams from Babinda and the Mokwi Napranum Men’s Group Indigenous Corporation to teach and mentor men at the Men’s Sheds, Napranum. In September 2014, Kelvin Williams, who has been trained in traditional spear making and wished to continue to teach this skill alongside contemporary carving, travelled up from Babinda to provide two weeks of carving tuition. One of the outcomes was the carving pictured by Kelvin himself, executed as a tribute to Thancoupie. 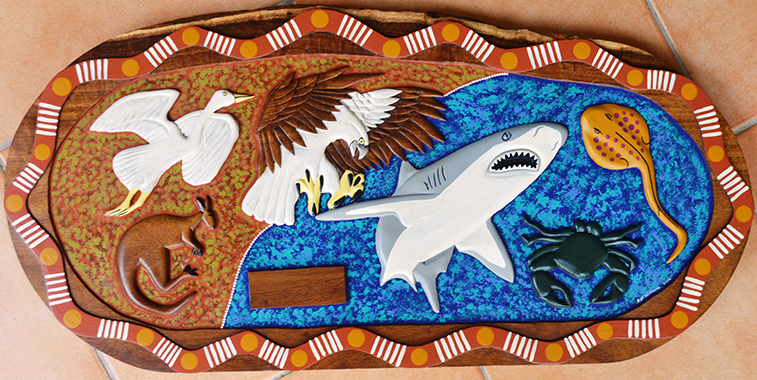 It will be displayed in Weipa or another prominent suitable location yet to be decided.